Trick or Treat starts it and it doesn't let up until after Easter-I'm talking about the sugar binge America indulges in. 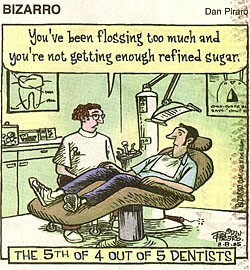 So here's a related question: Do all sugars give you cavities? But now for the bad news: the sugars we probably enjoy the most aren't on that list. You probably know why sugar rots teeth: They fuel bacteria that naturally live in tooth plaque. These bacteria feed on carbohydrates (which sugars are) and produce acid as a byproduct through a process of simple fermentation. 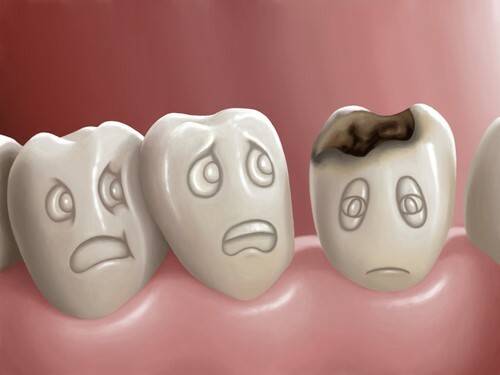 The acid slowly eats away at the tooth enamel, causing rot. And we all know that regularly brushing starves bacteria and keeps decay under control. But even if brushing isn't possible, drinking water or rinsing your mouth out with water after eating neutralizes the effects of acidic and sugary foods. OK, now we know which sugars to police. But which are the "good" guys, the ones that are good for teeth? 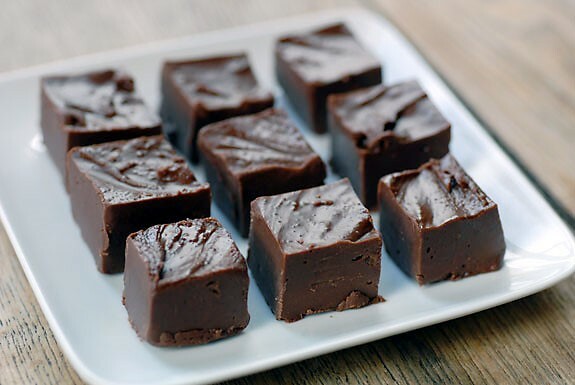 Melt chocolate in a medium pot. Remove from heat then stir in peanut butter and xylitol. Once xylitol is incorporated, stir in vanilla, salt, and nuts (if desired). Spread into a 1 ½ quart loaf pan. Refrigerate for 2 hours. Cut and serve immediately; store in the freezer in an airtight container. 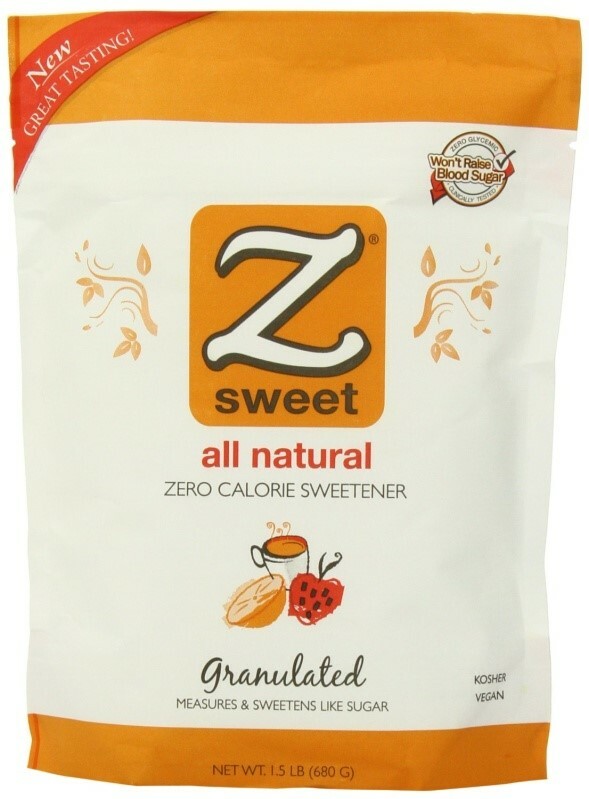 ERYTHRITOL (Zsweet). It's is 60-80% as sweet as table sugar. It's used primarily in chewing gum, baked goods and beverages, and occurs naturally in pears, soy sauce, wine, sake, watermelon, and grapes. It can't be metabolized by the bacteria in the mouth, which is why it doesn't cause cavities. However , some of them have other undesirable side effects. For example, very large doses of mannitol can damage the kidneys and heart. High doses of glycerol can cause nausea and dizziness. And Truvia and Sweet Leaf just haven't been tested enough to understand what, if any, serious side effects they might have (so cautionary use is advised). And what about artificial sweeteners? While none of them have been linked to tooth decay, research does show that saccharin, sucralose and aspartame cause stomach upset. And aspartame tops the list of sugar substitutes to avoid, because studies show it causes cancer. In fact, science it heavily questioning the health safety of the other artificial sweeteners as well. 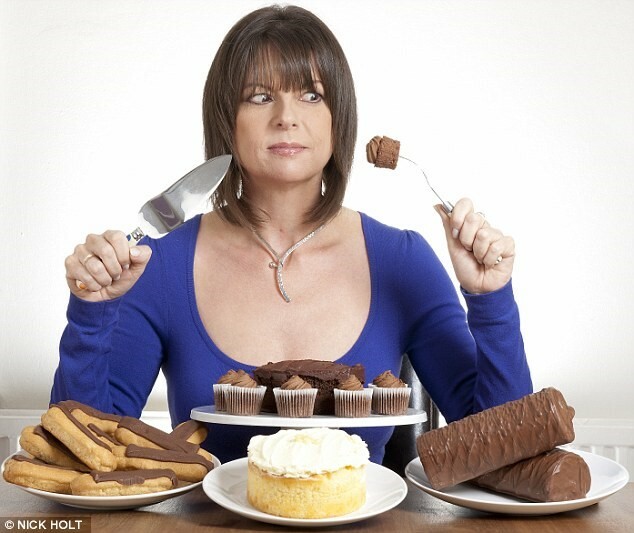 ü Limit sugary foods and carbohydrates that are likely to stick to teeth. Toffee sticks; apples don't. ü Brush and floss morning and night to remove the food hiding between teeth that's feeding the bacteria (and causing decay). ü If you can't brush, at least rinse to remove excess food particles and sugars. ü Treat sugary sodas, fruit juices and energy drinks the same way you would candy and other food: brush and rinse after you drink them so their sweet residue doesn't stick around in your mouth. But my bottomline? 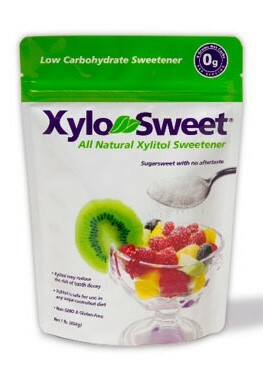 If you've got a sweet tooth, until you can tame it, give xylitol and erythritol a try. They're good for teeth-nice to know as we move through sugar-binge season.